Start your web+mobile arcade business online today before anyone else. Providing you the very first fully packed web+mobile arcade script to build easy audience and earn money by adding Android, iOS, Flash and Unity 3D games for mobile and desktop audience. Build your own fast loading arcade website on eye-catching modern templates and manage it with powerful admin panel and caching & CDN system. The professional ads placement, advanced report charts, multi-tier traffic trading system and in-game (revenue sharing games) ad network allow you to earn as much as you can on your website. Star Theme is a new modern template based on Bootstrap, this new template is the beginning of a new generation and evolution of AB script. 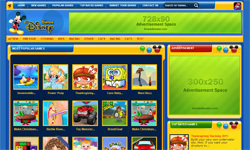 A cute colorful theme designed for kids games with small thumbnails! This theme is provided in low price so even free license users can buy and use. 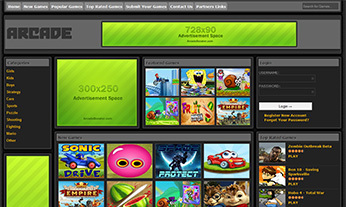 Now you can earn extra money by adding games to your portal. Why add games with no benefit? Yes, Now you only add games with the benefit of making money yourself. 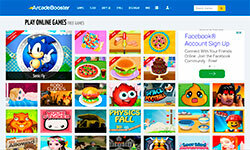 Developers would love to share their high quality games for your web audience. Our system then shows relevant gaming ads as in the form of pre-roll or plugs which will lead you and game developer to earn money.